The Celestion G10 Vintage is the natural evolution of the well-respected Vintage 10. Closer to the sound of the Vintage 30 than its predecessor, the G10 Vintage still maintains a distinctive tonal flavour of its own. 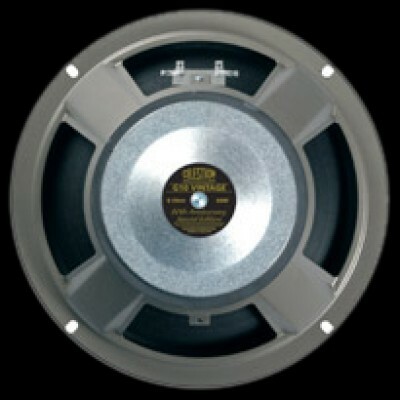 All of these speakers use the same voice coil designs and similar ceramic magnet structures to achieve their familiar, hard-rocking Celestion sound. Harking back to the original British rock invasion, the G10 Vintage provides a meaty 60W power handling with solid bass, muscular mids and an articulate top-end, making it perfect for anyone looking to upgrade the sound of an existing 2x10" or 4 x10". A particularly versatile performer, the G10 Vintage is also well suited for use in a single speaker cab.